DIA light and DIA richesse are both demi-permanent haircolor, offering quick, predictable, and customized results with no ammonia rich tones and incredible shine. 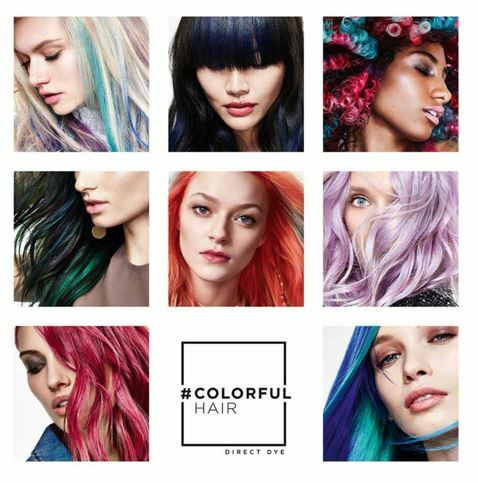 Whether you’re a colour junkie or prefer a hidden pop of color – dare #colorfulhair, the new hair norm. Play with color like you play with make-up! Dial it up with ultra-bright vibrant shades, such as Iced Mint; the hottest colour of the year! Dial it down using Crystal Clear to create softer whimsical, pastel tones. 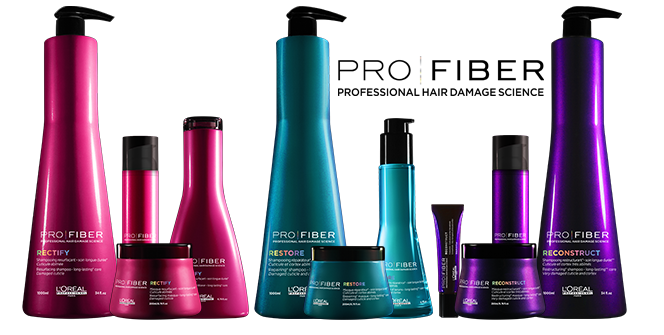 Mistake proof tailored look only guaranteed by a pro, lasts up to 15 shampoos (may vary depending on the type of shade/ effect chosen, color depth and porosity of the hair fiber) and leaves your hair feelings conditioned and ultra-soft. 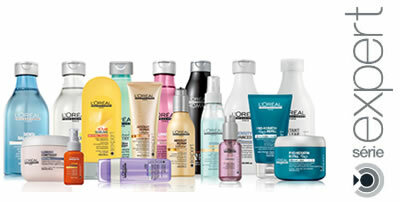 DISCOVER THE #COLORFULHAIR RANGE! 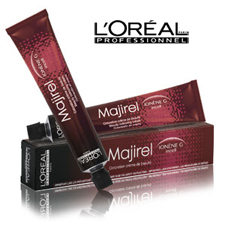 L’Oreal Professionnel introduces Pro Hair Make-up. Now your colorist becomes your Hair Make-Up Artist with Colorfulhair Flash. With its 11 make-up shades, Colorfulhair Flash make all kinds of hair looks possible. Removable with shampoo and visible on all hair with anti-transfer! What will be your occasion? Halloween. Festival. Prom Day. Concert. Fashion Week. Birthday. Wedding. Valentine’s Day and many more ! 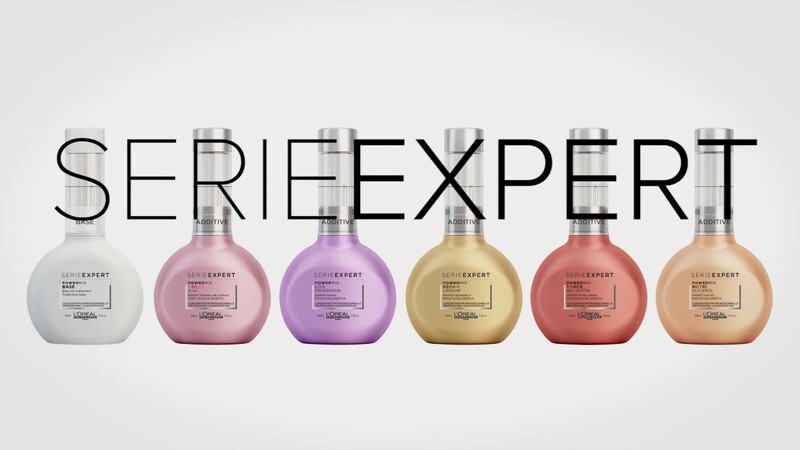 Serie Expert is a complete hair care system that treats the hair’s molecular structure from the core to the surface, delivering high performance results to maintain and preserve beautiful hair between salon visits. Opt for latest hairstyle trend featuring hollywood waves as the icing on the cake for any party or event, or even as you daily sprinkle of glamour! 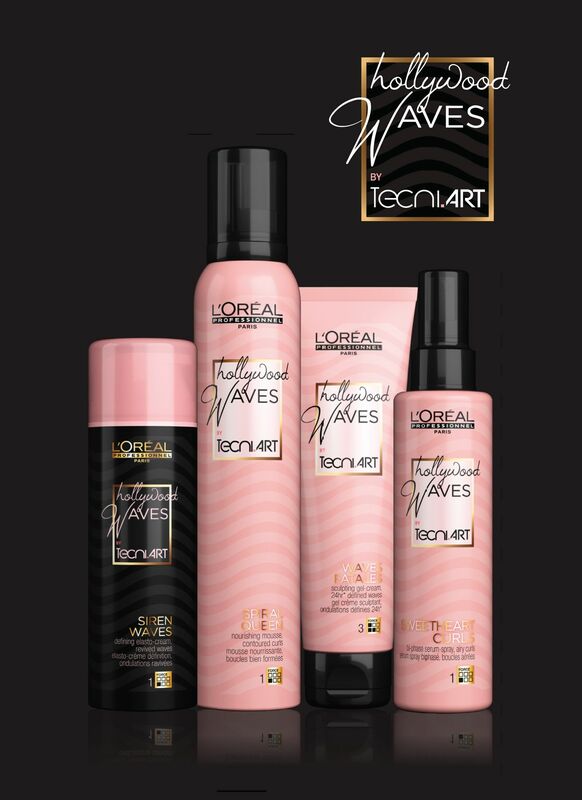 TecniArt is a complete range of products set to meet all your styling needs: texture, volume, curl, shine, and hold. 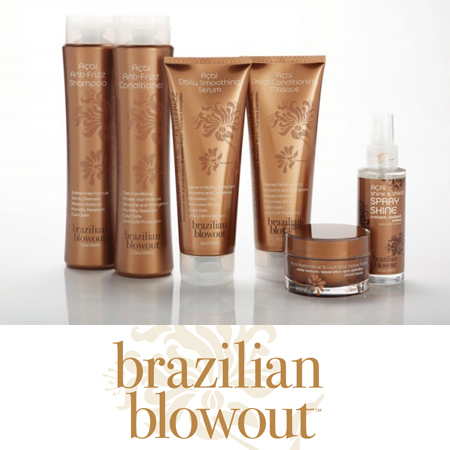 This new nourishing hair care series rejuvenates hair, returning it to a balanced state. Shine-enhancing oil gives color treated hair vibrancy and protects against fading. A range designed specifically for men to create unique, tailored looks. Discover and explore our hair care range designed for male hair. Whatever look you want to achieve, these pro styling products give you the means to shape up in a subtle and sophisticated way. 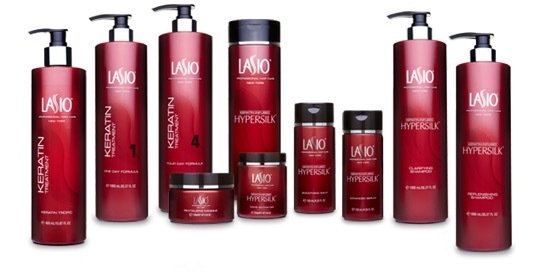 Ensure your hair looks it’s best and feels supple and incredible to touch. Construct. Sculpt. Define. Groom. Achieve a customized look to suit your style. 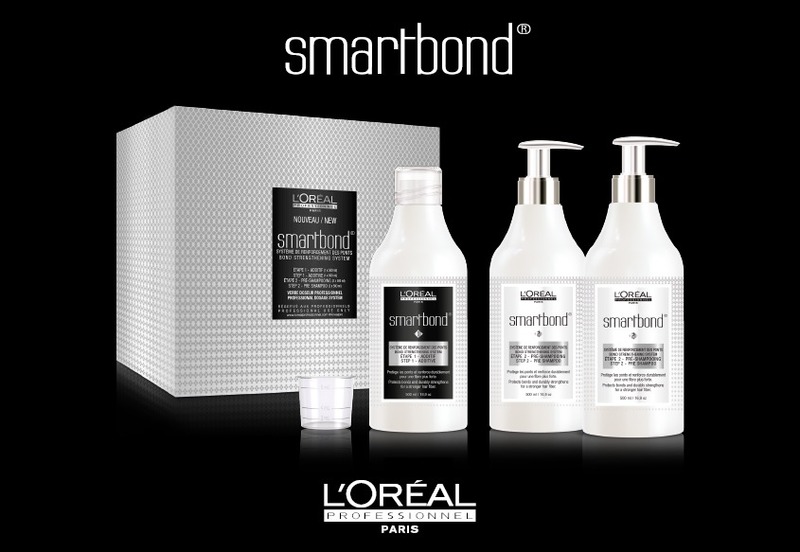 SMARTBOND is a new protective and strengthening service by L’Oreal Professionnel, specifically designed for hairdressers. SMARTBOND is a unique system that protects and strengthens the hair during technical services (such as bleach and haircolor). The system consists of three components, the first two being used in salon and the third one at home. This bond strengthening system targets damaged, sensitized, dull, coloured, highlighted and/ or bleached hair that leaves hair reinforced, more resistant, softer and shiny. Powermix Color: The client who is looking for radiant shine to enhance their color service. Powermix Repair: The client who is looking for repair to damaged, very dry hair. Powermix Force: The client who performs damage-prone habits and is looking to prevent breakage and damage. Powermix Liss: The client who needs manageability and protection against frizz. Powermix Nutri: The client who is looking for intense hydration. By utilizing Juvexin, this system restores hair by repairing and providing long term conditioning and protection. 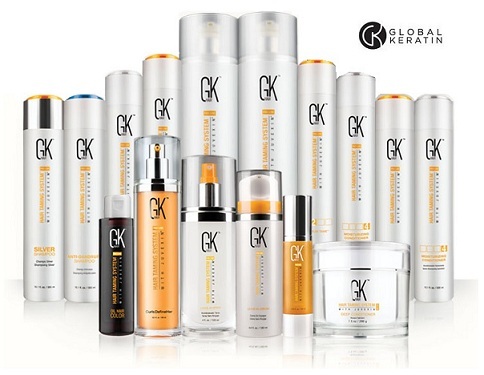 Juvexin is GK Hair’s foundation in creating manageable, frizz free, beautiful looking hair for all who desire it. This treatment works by coating the hair strands in keratin, replacing the protein bonds, and strengthening the hair strands, removing the frizz and transforming broken hair into manageable, shiny, locks. These treatments actually improve the health and condition of the hair by creating a protective protein layer around the hair shaft to eliminate frizz and smooth the cuticle. The dream of perfect, long hair is much quicker and more convenient with real hair extensions from Hairdreams. Hairdreams Hair Extensions blend in perfectly with your own natural hair and are therefore virtually indistinguishable from it. This allows the hair length and volume to change in just a few hours so that almost any desired styling is possible. Hairdreams exclusively uses real human hair which is acquired around the whole world. Hair stands out through healthy, gleaming gloss, brilliant, lasting color, and natural elasticity. It comes in two quality levels; 5-star and 7-star special quality. With proper care, the 7-star special hair can be reused. We can also achieve exciting, trendy, strands effect on styles. All of this is possible without damaging or stressing your own natural hair. With our new Hairdreams Quikkies service, you can achieve the styles you ever dreamed of in a fast and easy manor. The results are as perfect as ever! Create eye catching color effects, bangs extensions, asymmetrical hairstyles, and much more in record time. We can create extra soft transitions, invisible bonding, and even problematic hair types offering clients with very fine hair possibilities for gorgeous length and natural volume in addition, the hair can be reused a few times. So.Cap. hair extensions offer the premier brand of hair extensions. It is 100% Remy hair which respects the natural direction of cuticle growth which lies in the same downward direction so hair is easy to manage. So.Cap. 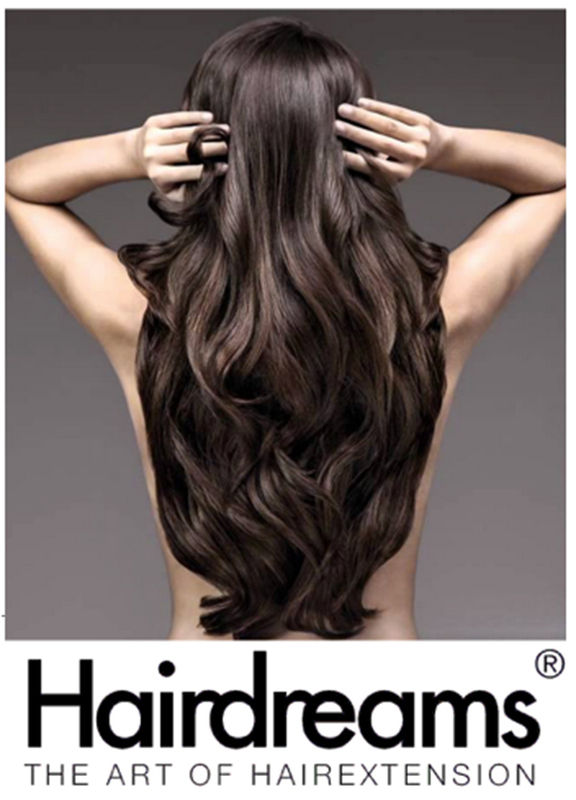 is hand selected human hair which is pre-bonded with keratin tips to ensure a healthy, strong, and long lasting bond. We are offering various professional smoothing treatments. I-tip: an individual extension system that does not use any heat, glue, sewing or braiding. It uses a small patented cylinder to crimp the extensions into the natural hair. Everything is reusable and the hair will last over a year with maintenances every 4-6 weeks. Tape extensions: very quick and easy to apply while laying extremely flat to the scalp. No extra tools are required to install this system besides a sectioning comb making it a quick and easy installation. A full head application for these tapes is about 30 minutes and the hair will last over 6 months with maintenances every 1-2 months. Clip-in skin wefts: use unique rubberized polymer at the base to ensure the flattest and most comfortable wear. This new technology is antimicrobial and keeps your luxurious Clip-N-Go extensions from shedding. U-tip: individual extensions that are applied via a pre-tipped keratin bond that grows out with your nat­ural hair. They are very discreet and can last over 3 months. Wefts: are ideal to get full coverage quickly. You can install these by sewing, using a protein bond or even locking them in with cylinders. 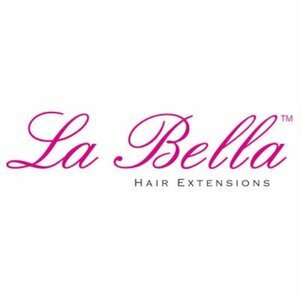 Since 2008, LaBella Hair Extensions has been the best place to shop online for 100% Remy Human Hair Extensions. Our extensions are 100% cuticle intact and 90% double drawn, making them the most desirable among hair stylists. Je T’aime Coiffure Hair Design is always on the cutting edge of new services, products, and more. 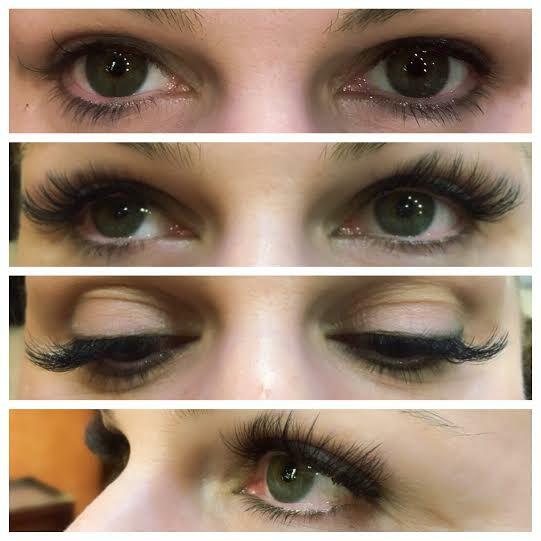 We are offering individual, classic, and 3D Lash extensions. 3D Lash extensions are the latest and greatest in the world of lashes and we are proud to be offering them to you! 3D Lashes use tiny, feathery thin extensions so we can apply three to four individual extensions on each natural lash. The final result is thin, fluttery, lash extensions that look super voluminous. Individual eyelash extensions will give you longer, thicker, and incredibly natural looking eye lashes that will extend you natural eyelashes and draw attention to your eyes. They are semi-permanent and made from synthetic fibers. Each lash is applied one by one to your own natural lashes. Normally a person’s natural lash falls out every 60-90 days and a new lash grows in immediately. Therefore it is necessary to get touch ups to fill in the fallen lashes. About every two to three weeks is recommended, however, this will vary from person to person.